It's been a whole month now since resolutions were set, and while some are going really well (Veganuary was successfully completed) others are still a work in progress (why is it so difficult to drink more water? We're made of the stuff!) One resolution that I've been focusing on in January is learning how to relax properly, especially when I'm really busy, as I have a tendency to fill quiet moments with cleaning, or blog post writing, or making lists that don't really need to be made. I've found that taking more baths and longer showers have really helped with this, so of course I have been buying a lot more products. Here are some that I have been loving recently. When it comes to shower products my requirements are minimal; they should smell nice and they shouldn't dry out or irritate my skin. For this reason I almost always opt for drugstore brands, which means that I can afford to try lots of different products and switch them up as I like. 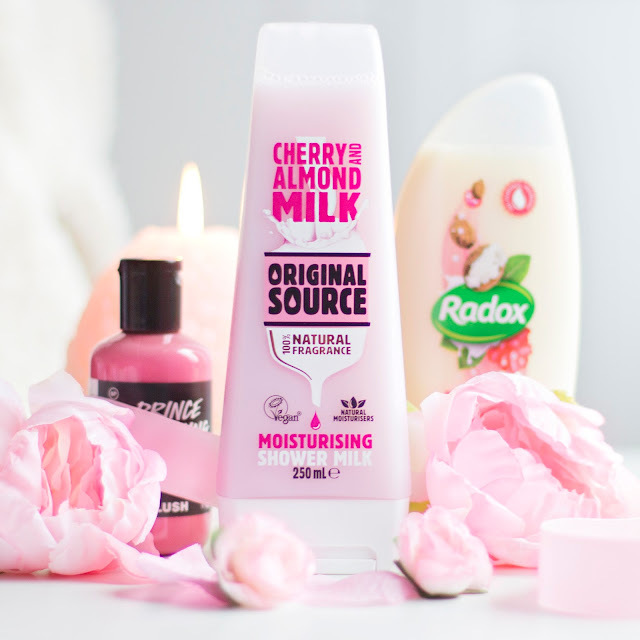 Right now I'm loving the Cherry and Almond Shower Milk by Original Source, I find that their products smell incredible and this is no exception. I actually gave the whole range a sniff (they had their own little section in my local Boots) and I can confirm that they all smell heavenly, however this one smells like cake so of course it would be my top choice. In the past I've associated Radox with lavender scented bath salts, as my mum would run me a "Radox Bath" to help me to destress at exam time. It was only recently when I picked up the Nourish Shower Cream with Shea Butter and Ginger that I realised how great their shower products are too. I found this in the offer section of Boots for only £1, and again it smells wonderful, very fresh and less sweet than the Original Source offering, and it hasn't irritated my skin one bit. During my most recent trip to Lush I spotted the Prince Charming Shower Cream in the valentines section and fell in love! I love the name, I really love the colour, and the smell is divine. When I saw that it was bright pink I was expecting the scent would be overly sweet to match, but I would say that the grapefruit adds a sharpness, so it's not at all sickly. I've always said that Lush create luxury products with drugstore price tags, so it's of no surprise that this is the most moisturising, creamiest pick of the bunch. I actually received a Laura Mercier Bath Set as a gift for Christmas 2015, but I just couldn't seem to make time to have long baths so it went unopened for almost a year. Now that I am making more effort to set aside relaxation time, I dug this set out and I'm loving it! The Ambre Vanille Honey Bath is my favourite product from the set, I just swirl it through the water and it leaves my skin feeling incredibly soft and moisturised. 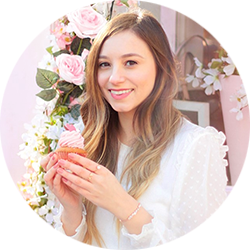 Bath Latte is actually the first Zoella product that I've tried, I had seen so much hype surrounding the range that I finally decided that I had to check it out for myself. Firstly I have to mention the packaging ... it's adorable. This is a real bonus considering the affordable price, and makes a change from the bright multi-coloured packaging usually associated with drugstore bath ranges. I use this when I want a long soak with a lot of bubbles. I have to admit that I am cheating slightly by mentioning Lush's Unicorn Horn, as I haven't actually used it in a bath yet. I'm including it as an "essential" because its so very adorable and for that reason I believe that everyone should have one of these in their stash, and it is from Lush so we can pretty much guarantee that the results will be magical! 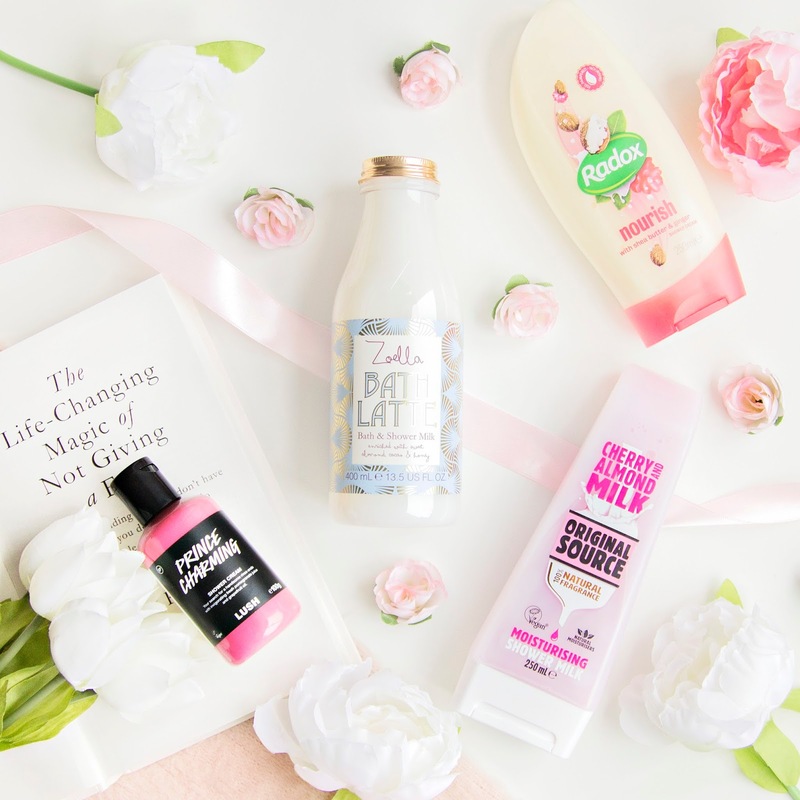 That's my pick of my favourite bath and shower products right now, let me know what you've been loving in the comments!